New Mobile App Available Now! North American Auction Co. is one of the premier destinations for bidding and buying on rare and important items. Now offering a Mobile Bidding App. Download the App on the Google Play and Apple App Store Today! Click the above app store buttons associated with your phone. 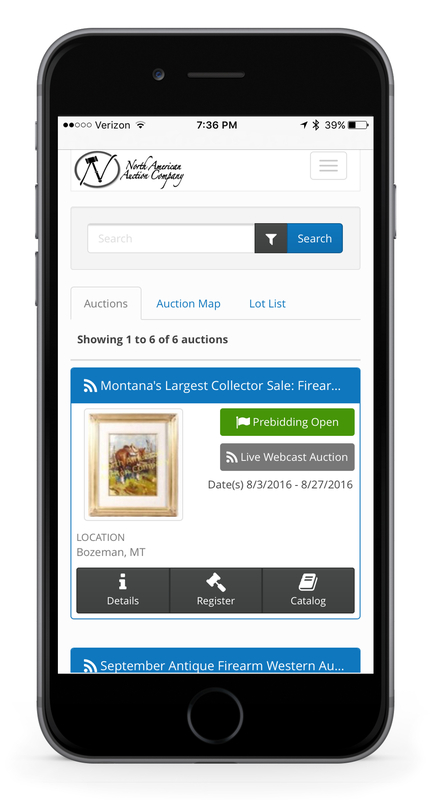 At NAAC we want you to bid with confidence when you are on the go or from the comforts of your home with the new North American Auctions app! Make sure to allow push notifications so that we can better serve your bidding needs. The app will allow our company to send reminders about upcoming sales directly to your phones home screen.